I think this is for picking up olives. You depress the plunger on the one end and the claws on the other open up. It's been in my family since before I was born, but I've never seen it actually put to use. 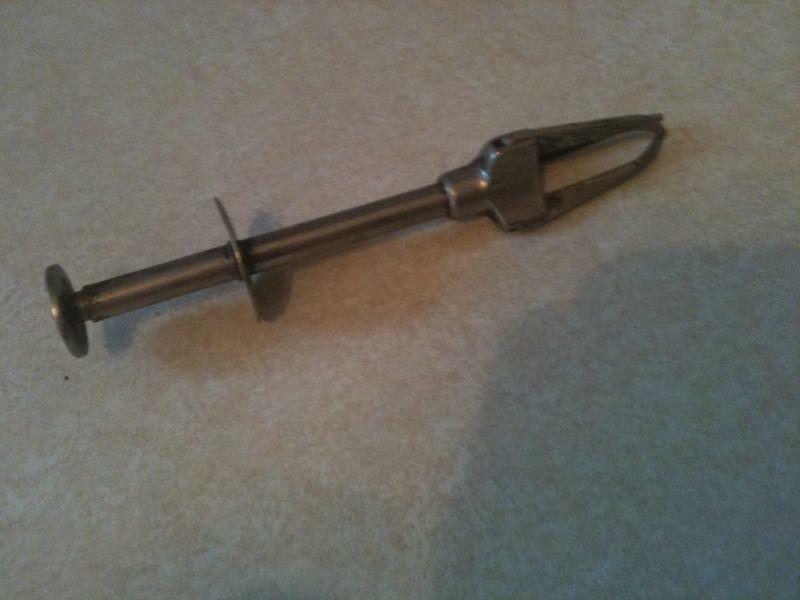 Name of this product is mystery utensil. Who give him this kind of name and what he seriously think about it. That type of things is may be good when we found them but we become curious about it's name.